And so it remains today. Most of the buzz in current climate politics, especially with the presidential race beginning to take shape, is around a Green New Deal, a grand, comprehensive set of federal investments and regulations. But a GND is a long way off, even if everything goes well. Meanwhile, once again, US states are stepping up. The 2018 midterms saw several green-minded governors either elected for the first time or reelected, and they are wasting no time pushing forward. Let’s take a look at the remarkable recent flurry of action in the states. Any day now, Oregon state legislators are expected to introduce the Clean Energy Jobs Bill, which would connect Oregon to California’s cap-and-trade system, committing it to statewide greenhouse gas reductions of 80 percent by 2050. It is widely considered likely to pass. 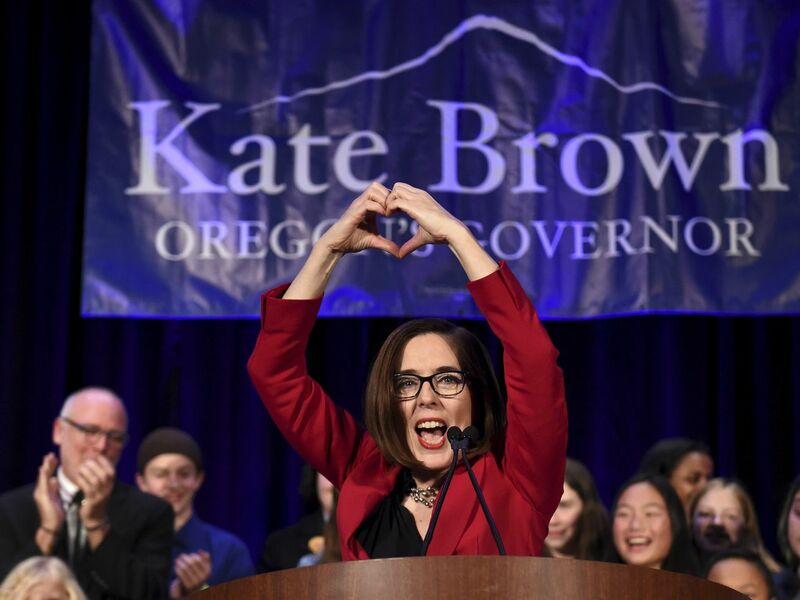 The cap represents only the first of eight ambitious goals in Governor Kate Brown’s comprehensive climate agenda. But she was reelected with a comfortable margin and Democrats control both houses of the legislature, so she’s in a strong position to shepherd the rest through as well. Also on that agenda (among other things): build electric vehicle infrastructure, incentivize the growth of the EV market, increase energy efficiency investments, and create a new state climate policy agency responsible for coordinating climate action. 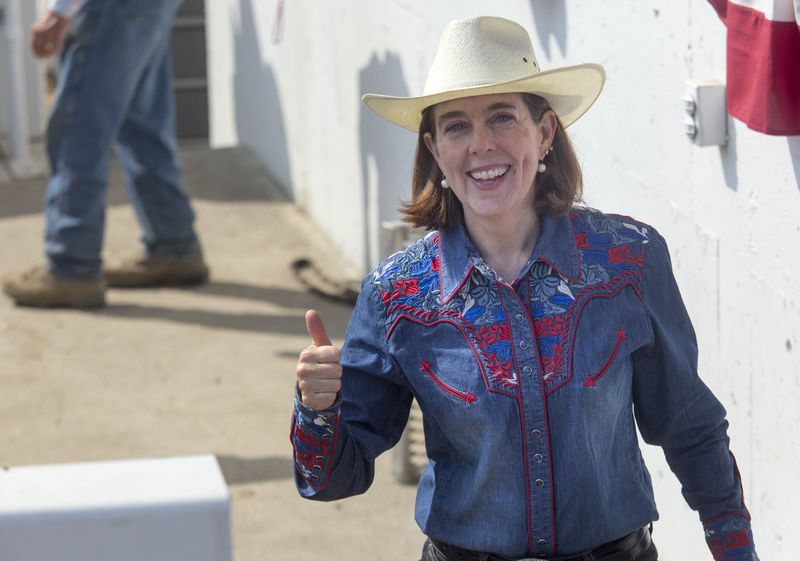 I never tire of using this picture of Oregon Governor Kate Brown at a rodeo in 2017. On Tuesday, newly elected New Mexico Governor Michelle Lujan Grisham signed an executive order that committed the state — the country’s third-largest producer of oil and gas — to cutting statewide greenhouse gas emissions 45 percent by 2030. It would also incentivize renewable energy development; increase funding for energy efficiency; tighten pollution standards for vehicles and oil-and-gas infrastructure; and create a cross-agency climate change task force to coordinate state efforts. Last but not least, the order joined New Mexico to the US Climate Alliance, a group of now 19 states committed to meeting the goals of the Paris climate agreement. Lujan Grisham’s aspirations must pass through the state legislature, but with Democrats solidly in control of both houses, their chances are good. A bill raising the state’s renewable energy mandate — to 50 percent renewables by 2030 and 80 percent by 2040 — has already been introduced. Gov. 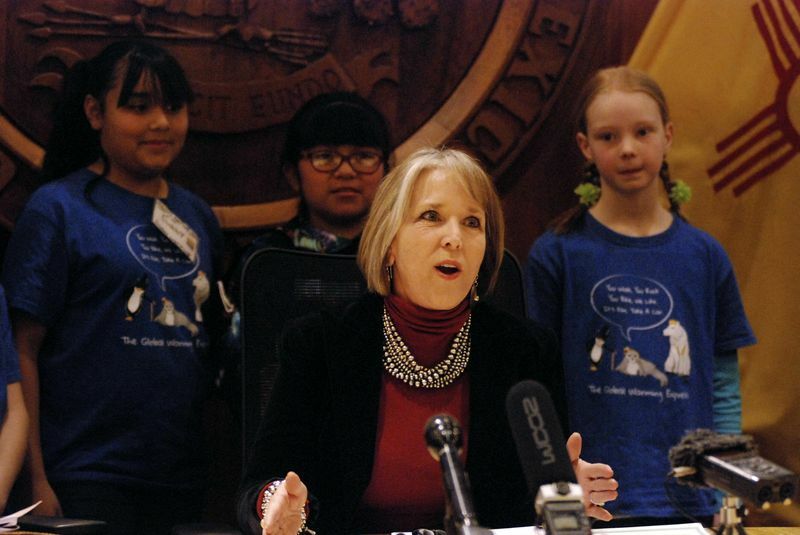 Lujan Grisham signs an executive order putting New Mexico in the climate fight. I’ve written a great deal about exciting developments in Colorado, including coal’s terrible fortunes, super-cheap renewable energy, and a major utility committed to 100 percent clean energy (the nation’s first major utility to do so). 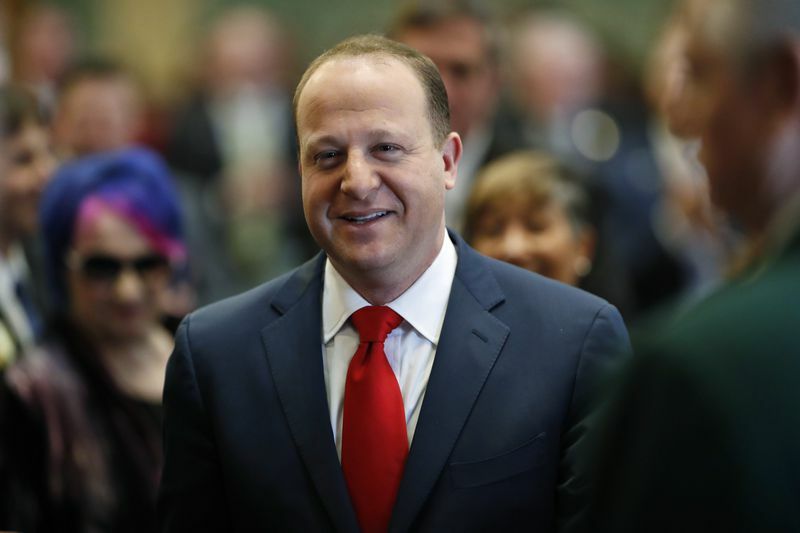 Colorado Governor Jared Polis enters the House of Representatives chamber to make his first State of the State address. Newly elected governors Gretchen Whitmer of Michigan and Tony Evers of Wisconsin also vowed during their campaigns to join the Climate Alliance. Maine’s new governor Janet Mills replaces the much-loathed Paul LePage, who did everything in his power to squelch solar and wind development in the state. Mills has promised to restore net metering, remove limits on community solar, and support wind power development. In Maine, the state legislature passed multiple renewable energy initiatives in the past year — but they were vetoed by the current governor. Across the aisle, Florida’s newly sworn-in Republican governor Ron DeSantis surprised many observers by issuing an executive order containing a sweeping series of environmental directives that would help the state adapt to sea-level rise, restore the Everglades, and prevent offshore oil and gas development, among many other things. It would also create an Office of Environmental Accountability and Transparency and appoint a chief science officer for the state, to coordinate research and align agencies behind a scientific agenda. There’s no mention of climate change, and only time will tell if DeSantis follows through on his commitments, but at the very least he’s a refreshing change from Rick Scott. 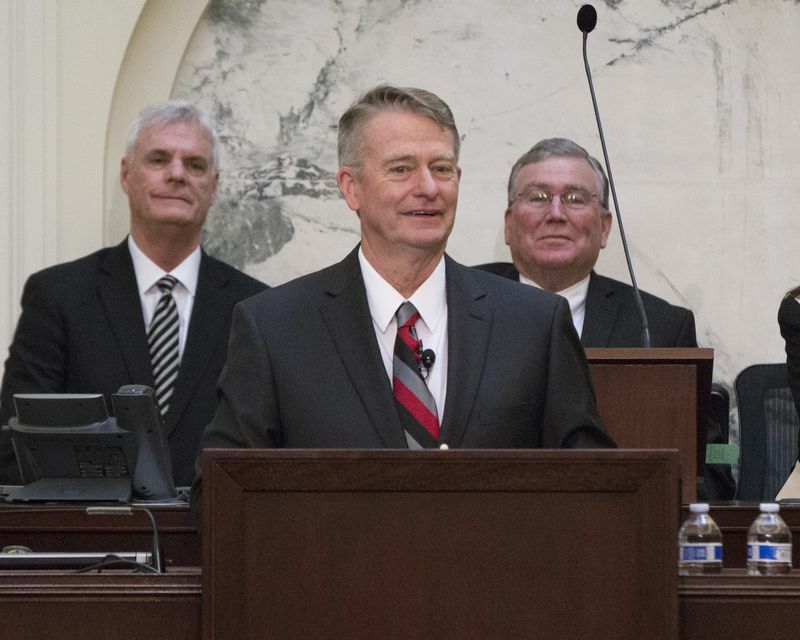 Meanwhile, Brad Little, the Republican governor of the extremely conservative state of Idaho, recently broke with the national GOP and acknowledged that “climate change is real” and needs to be dealt with. “Back in the old days when I was a kid,” he said, “we had winters.” Acknowledging reality is a fairly low bar, but the GOP has a long way to climb, so, huzzah. Idaho Gov. Brad Little is boldly attempting to introduce his party to reality. One last tidbit. This week, the King County Council in Washington state passed a six-month moratorium on new fossil-fuel infrastructure in the county, declared a climate emergency, and instructed the county executive’s office to scrutinize existing and planned infrastructure to determine its climate impact. King County (home of Seattle) is the second jurisdiction to take a step like this. In 2016, Portland, Oregon, banned all new fossil-fuel infrastructure, a measure that has since withstood court challenge. What do all these recent developments tell us? First, the clean energy tide is unstoppable. The 19 states in the US Climate Alliance represent an enormous market that clean energy technologies are in no danger of saturating any time soon. There is nothing but running room, and as clean energy grows and gets cheaper, the market will expand. The call for 100 percent clean energy is practically Democratic orthodoxy at this point. And Trump’s wan attempts to save coal look sillier and sillier. And as Portland and King County show, in the most liberal areas of the country, the fight against fossil fuel supply — the mines, wells, railroads, and export terminals — is growing faster than anyone expected. It doesn’t enjoy nearly the consensus that demand-side measures (like carbon pricing and clean energy mandates) do, but it is making remarkable strides. My prediction: It won’t be long before “keep it in the ground” is the new marker of lefty climate commitment. There’s no way of knowing if these state policies will compensate for the lack of federal leadership on climate change. Most of the models show the US falling short of its targets. But models don’t capture policies not yet passed, and they don’t often capture tipping points. As an increasing proportion of the US populace is represented by lawmakers who take climate change seriously, the rationale for holdouts is shrinking. The plutocratic wall of national resistance to sane climate policy cannot hold forever. And when it breaks, there will be a flood.